Greetings in the holy name of Jesus Christ our Savior! 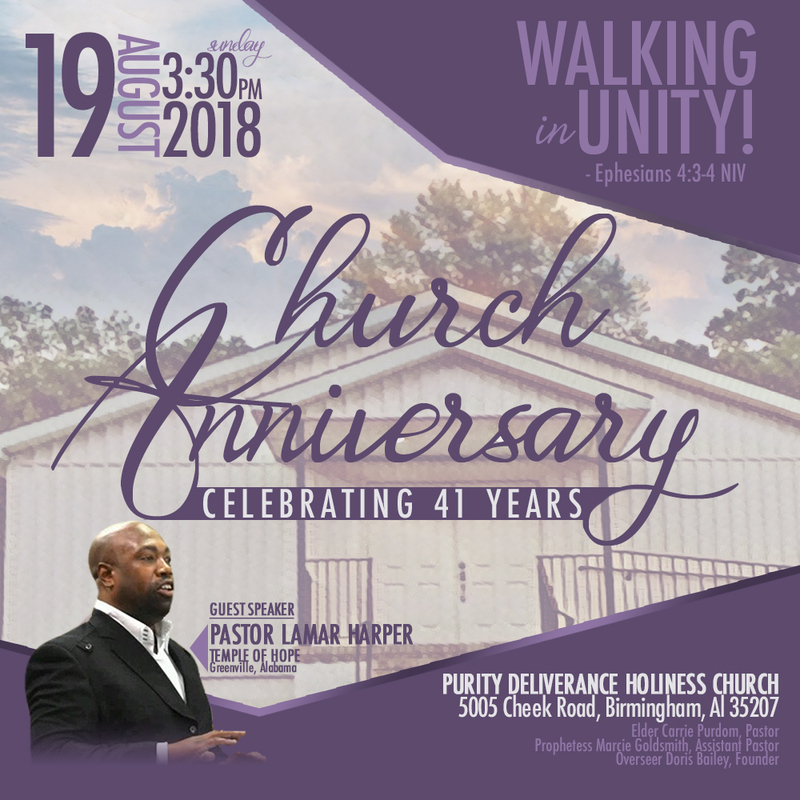 The members of the Purity Deliverance Holiness Church cordially invite you to join us as we celebrate the 41st Church Anniversary. Every year there is excitement in the air during this time as we remember the past, but praise God for the future. 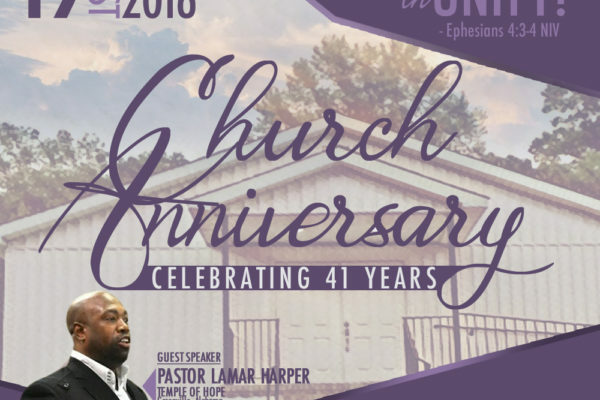 We are looking forward to having awesome time in the Lord! Thank you in advance for attending this celebration.